If you live in a condo, duplex, apartment or townhome in British Columbia, chances are that you don’t have a fundamental home owner’s right: the right to dry! 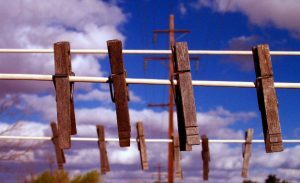 The “right to dry” is a movement which seeks to change strata laws which forbid the use of clotheslines. The movement contends that clothesline bans force residents to use drying machines and other sources of energy, adding unnecessary loads to the power grid. In other words, clothesline bans are preventing people from making environmentally friendly decisions. Jon Howland of the Seattle-based Sightline Institute points out that dryers make up 9 per cent of residential electricity consumption. He goes on to note that clothesline bans are largely in place because hanging laundry is considered “unsightly”. Proving that there is no cause too small, the movement is gaining momentum across Canada. According to an article in Business in Vancouver, the governments of Ontario, and Nova Scotia as well as six U.S. states have overruled clothesline bans. If the “right to dry” movement becomes popular in Vancouver, it could change the look of several projects by eliminating clean-looking building exteriors. What do you think of “the right to dry”? Are you ready to air out your dirty laundry?